The agency’s new director reversed course on regulations intend to prevent borrowers from being caught in an endless cycle of short-term, high interest loans. Payday lenders won a major victory Wednesday after the Consumer Financial Protection Bureau moved to gut tougher restrictions that were to take effect later this year. Consumer advocates said the bureau’s reversal put the interests of businesses ahead of the public’s. Linda Jun, senior policy counsel for Americans for Financial Reform, wondered whether the change was simply the result of the industry making enough noise. Payday loans are effectively illegal in about 20 states, but in the rest, they are profitable and popular: Americans borrowed nearly $29 billion from payday lenders in 2017, paying $5 billion in fees, according to estimates by John Hecht, an analyst at financial services firm Jefferies. In an attempt to prevent borrowers from becoming trapped in a cycle of debt, the bureau completed new nationwide rules in late 2017. The rules were the result of years of research and legislative work — and were fiercely opposed at every step by lenders, who warned that the new restrictions would decimate their business. Industry officials said many of the nation’s 14,300 payday lender storefronts — about the same number of locations in the United States as Starbucks — would have to close. The regulation’s centerpiece was its requirement that lenders underwrite most loans by verifying borrowers’ income and debts to determine whether they could afford to pay the loans back while meeting other financial obligations. Making loans that consumers lacked the income to repay was “unfair and abusive,” the consumer bureau said at the time. But under President Donald Trump, the agency has shifted course and been friendlier to the businesses it regulates. In June, the consumer bureau’s acting director, Mick Mulvaney, who is now Trump’s acting chief of staff, sided with two trade groups and asked a judge to prevent the new rules from taking effect this year. On Wednesday, the agency sought to delay the underwriting provision’s effective date to late 2020 from August, giving it time to go through the required administrative steps to strike it down. Delaying the requirement would preserve at least $4 billion in sales that lenders would otherwise lose, the bureau said. The bureau said it would leave some lesser parts of the rule in place. 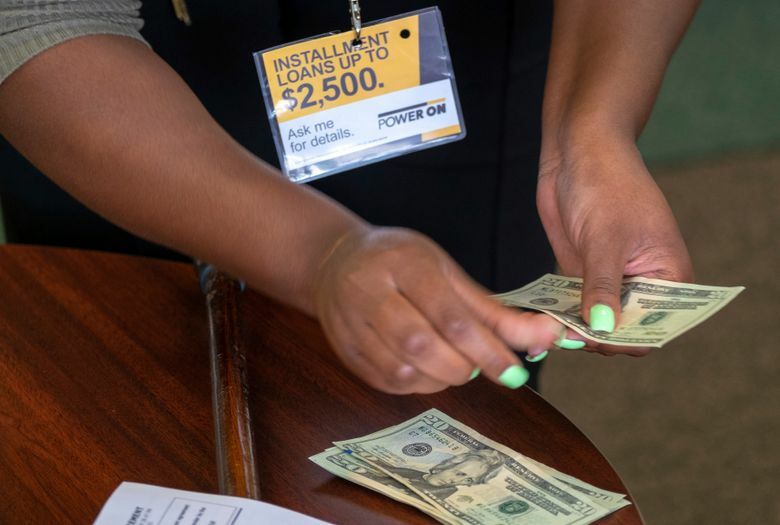 Most notably, lenders will no longer be allowed to try to withdraw funds from a borrower’s account after two failed attempts to collect, a practice that often leaves insolvent customers swamped with overdraft fees. Lenders praised the changes but said they wished the bureau had gone further. The Community Financial Services Association of America, a trade group that filed a lawsuit last year in federal court to halt all of the new restrictions, said it was pleased the bureau was fixing some of the rule’s “critical flaws,” but that problems remained. Limits on payday lending “will push consumers into dangerous, harmful alternatives,” said Dennis Shaul, the group’s chief executive. The trade group will continue its litigation to overturn the rules, he said. The agency has punished several payday lenders since Kraninger took office in December, although it has let them off with relatively light financial penalties. Last month, the bureau punished Enova, which runs online lender CashNetUSA, for failing to honor promised loan extensions and for debiting customers’ bank accounts without authorization. Enova, which earned $29 million last year on sales of $843 million, agreed to change its practices and pay a $3.2 million fine. The bureau’s new proposal will be open for public comment for 90 days. After that, the agency can move forward on making the changes final.